Like I mentioned the Multiplex Fox RC conversion got to heavy losing its gliding characteristics (double the original weight). So I wanted to create a longer wing. Looking into moulding with foam did get me some inspiring results. Extensions of the existing wings are found over the net done with balsa, more foam etc. But I want to keep my wings in one piece so I ended up looking for other methods. I found several cheap foam designs like this racer (I do like it's semi rounded box fuselage) and even easier to build constructions. 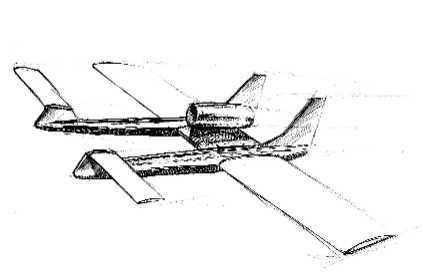 But these have no (or almost no) airfoil and rely mostly on speed to get lifted. That's not what I need. Some more advanced designs have airfoils, like this boat hull jet. Still I need something easier to build and fly. More like this trainer one foam design or this blu-beagle design. 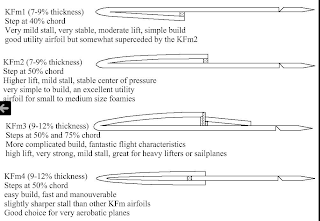 And that last one is how I discovered the Kline-Fogelman airfoils. Amazingly easy to build using foam sheets! Exactly what I need. 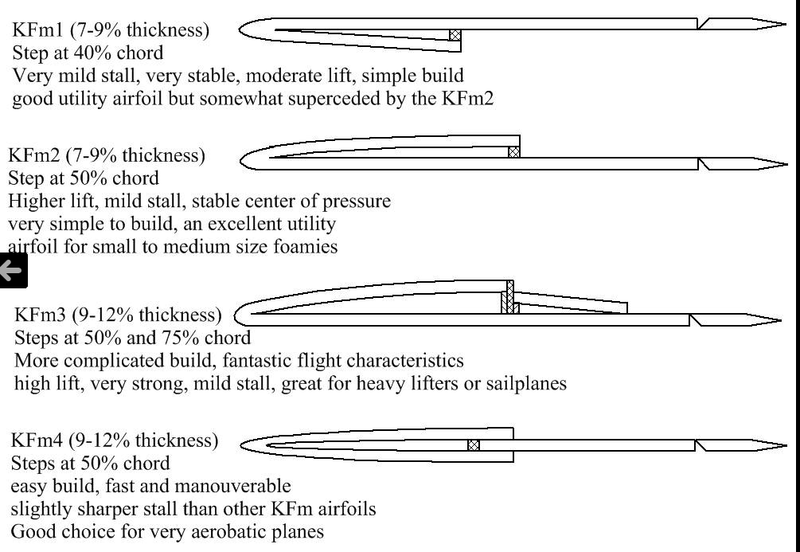 So I'll get into construction of a massive wing using one of these airfoils (KFM3 I think).